Removing graphite marks from a piece of paper should be a fairly straightforward process, right? However, when you start adding in more variants such as using artist grade drawing papers that have a deep-set tooth or perhaps a much softer grade pencil that leaves darker marks – things start to get a bit more complicated. Your standard pink eraser begins to fail as it just simply can’t lift the graphite as easily from the surface when compared to other erasers. 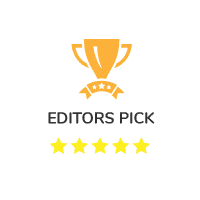 In today’s guide we want to go over 10 of the best erasers that are designed for removing pencil (graphite) both easily and efficiently. 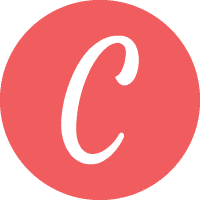 In addition to all the reviews, we are also going to take a minute to compare all the different types of options that exist to you as well. As you may have found out in both your personal experience and research so far, not all erasers are created equally. During our research we kept coming across artists that had questions on what eraser was best for certain situations. In addition, we kept seeing both eraser composition and medium usage (i.e. colored pencils, pastel pencils, watercolor pencils, etc.) also asked as well. Therefore, we wanted to share a few of our research notes as they may help you in finding the perfect eraser for your needs. By there very nature, graphite and colored pencils are polar opposites from one another. Graphite, found in your standard drawing and writing pencil, is sourced from carbon (crystalline) and carries with it its own unique set of properties including hardness, color, etc. Colored pencils on the other hand are primarily made through the combination of pigment (that delivers the color), wax/oil (depends on the brand), and other resins (typically something like gum Arabic) in order to deliver marks to the page. Therefore, when you go to remove a mark from a sheet of paper, both of these mediums will require different types of erasers in order to remove them. Generally, erasers that contain silica grit and rubber (see the Tombow Mono Sand Eraser) will be the best tool to use in tandem with colored pencils. On the other hand, vinyl, gum, kneaded, rubber, and foam (PVC) all can be used to remove graphite marks from a sheet. Vinyl – Sometimes known as drafting or plastic erasers – this will be the firmest of the bunch. Able to get the deepest of strokes removed from the page (and even in some instances, ink), vinyl erasers require that the paper be rather thick in order to withstand the abuse. Using these on thinner sheets of paper may result in tearing. Gum –When taking this softer eraser to your marks, bits of the eraser fall off and will attempt to latch onto the graphite in order to remove it from the sheet. Of all the eraser types, gum erasers are by far the messiest (by design), so be sure to have a trash can or vacuum handy. Kneaded – Found in art studios everywhere, kneaded erasers also double as a drawing tool. With its putty-like body that can be formed into a fine point or large ball, kneaded erasers are primarily used in charcoal applications. However, this eraser is versatile and is great for creating interesting effects in your graphite and even colored pencil piece. Rubber – The most common eraser in the world of graphite drawing applications will be your standard rubber eraser (usually always pink). It’s more of a mix between both vinyl and gum by having a firm body while still experiencing some crumbling or peeling. Foam – Relatively new in the world of art supplies, foam erasers are made from PVC and are extremely effective in removing marks from a page. However, given that its PVC (polyvinyl chloride) there are some environmental and health concerns associated with this type of eraser. Overall, erasers are a fairly inexpensive purchase. Expect to pay no more than $5 bucks for a good eraser. The only exception to this would be electric erasers. These normally retail for around $20 to $50 bucks and may be worth the cost given the quick and efficient results. Overall, if you can get over the PVC body and want terrific results with only a little bit of elbow grease applied, check out this foam eraser by Sakura. 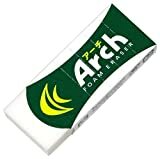 Imported from Japan, the Sakura Arch Evolution Foam Eraser is a PVC based eraser that does a terrific job at removing marks clean off the page in a non-abrasive manner. With a body that provides some flexibility, it can easily move with the surface instead of being too rigid like your standard plastic or vinyl eraser. Overall, it’s a great eraser to use on both graphite and ink. Just expect to only use this on small details – larger and longer strokes may be best removed by other options on our list. When it comes to details and working through subtraction, the Faber-Castell Perfection Eraser is great for getting clean erased marks from your drawings. So, if you are struggling in getting highlights in hair, grass, or other similar subjects, the fine tip on this eraser may do just the trick. It’s worth mentioning that Faber-Castell does offer two variants on this type of eraser – a standard pencil form and one with a brush end (largely used to brush away dust residue instead of using your hands or breath). Given that its in a wood pencil barrel, you can put this into a manual sharpener to form a finer point for small details. Overall, this is the best eraser you can get for colored pencil use. It’s able to remove both waxy and oily binders from the surface with consistent persistence. 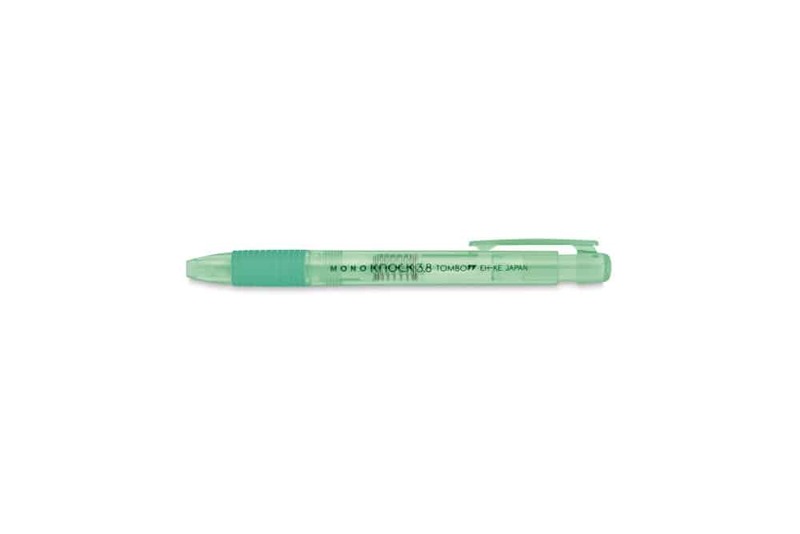 Made in a much more environmentally and natural way, the Tombow Mono Silica Eraser is a terrific general use eraser for graphite, ballpoint pen, colored pencils and even a bit on markers. It’s able to achieve this through the infusion of both rubber and silica. Given that this is a much more abrasive eraser, we would recommend using it only on heavier stock paper. Attempting this on general writing or copy paper may be a bit too rough and cause unwanted tears. Overall, this is another effective PVC eraser that gets the job done. Like all PVC erasers, there are some environmental concerns due to it being sourced from plastic. Maker of fine oil pastels, water brushes, and countless other supplies found in studios across the entire world, Japan based Pentel competes head-to-head with the Sakura Arch Evolutional with their jet black PVC-based Ain foam eraser. Like the Sakura this eraser is great for lifting graphite from any surface in a rather easy and effortless manner. Like the Sakura, you can expect a nice clean surface after only a few passes with the block. Overall, this is a general use eraser. It gets light pencil marks off smoother surface types including composition and copy paper. It’s also fairly affordable too! Perfect for academic use, the Tombow Mono Knock Stick Eraser is great for quick erasing of general pencil marks on any surface type. Its softer body may not work well on deep set tooth paper, but when it comes to standard sketches or writing on notebook or copy paper, this eraser will work like a charm. With refills (4 eraser sticks total) sold for less than $2 bucks a pop, it’s a pretty cheap offering as well. 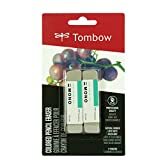 If you are a casual artist or are just simply looking for an eraser to toss into your favorite pencil case, then check out the Tombow Mono Knock Stick Eraser, you won’t be disappointed. 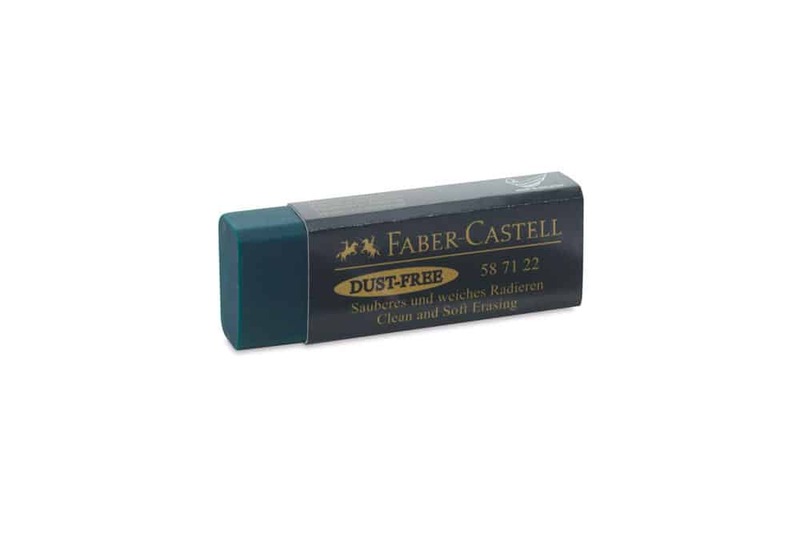 Overall, if you are looking for something outside of your standard rubber eraser and want to remove deep set marks, then this eraser by Faber-Castell is worth considering. This vinyl eraser by Faber-Castell is another phthalate-free offering that is both safe for you and the environment. However, unlike most vinyl erasers that are extremely rigid and may cause tearing with the paper, the Faber-Castell Dust Free eraser has a bit of give that helps to ensure that it’s more gentler on paper. Other artists have mentioned that this eraser was fairly effective not just on graphite marks, but also colored pencils as well. With a price tag under $2 bucks – it’s definitely worth its value. Overall, it’s a standard vinyl eraser. The art community was pleased with the results by giving it an above average rating. Primarily known for their top-notch wax based colored pencils, Prismacolor also makes a few other staple art supplies including graphite pencils, sharpeners, and yes, erasers. 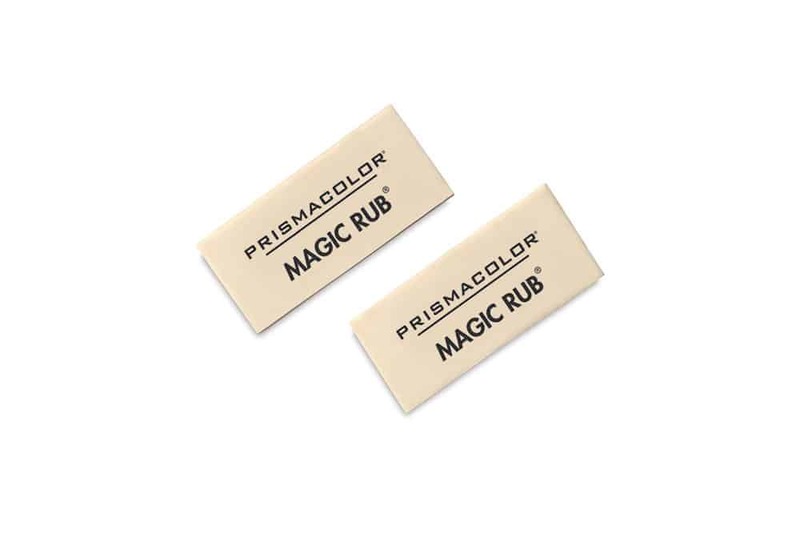 The Prismacolor Magic Rub eraser is their take on the classic vinyl/plastic eraser. Suited for drafting film, acetate, and tracing paper, it’s a great eraser for removing small intricate details within your work. While some artists have mentioned that they used this on colored pencils with no problem, Prismacolor does mention on their site that this eraser is really only suited for graphite and India ink marks. So, your mileage may vary when working outside of these mediums. Overall, for those looking for a classic gum eraser, this is it. Perfect for graphite only, it’s a great way to remove an initial sketch from your finished piece. 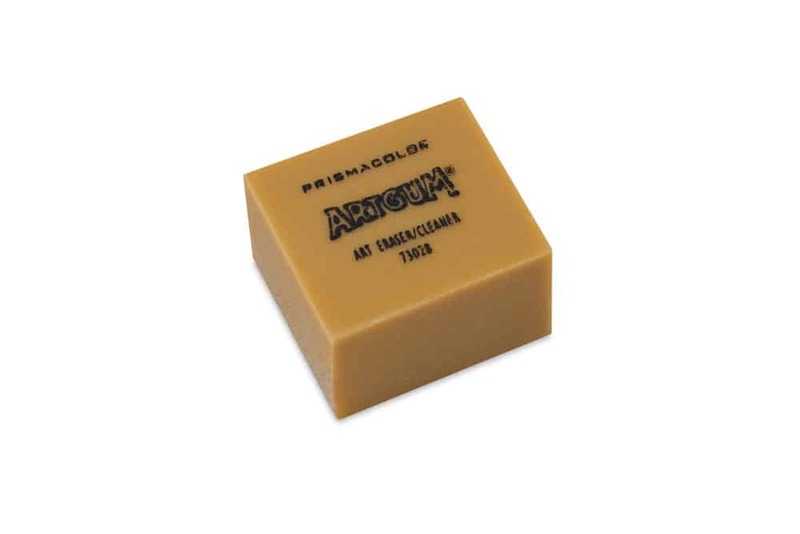 With its unique crumbling design, this artgum eraser from Prismacolor is the perfect tool to use should you just want to erase graphite and nothing else. When used in tandem with ink, artists are able to use the artgum eraser to remove a pencil underdrawing without dulling out or lifting the more permanent ink in their work. Naturally given the composition of this rubber eraser, you can expect plenty of crumbling to occur when removing marks – so be sure to have a trash can nearby. Overall, for the price and performance, it’s a great eraser that provides quite a bit of control. The small nibs are perfect for erasing details and adding highlights in your work. A unique alternative from your standard block eraser will be the electric eraser. 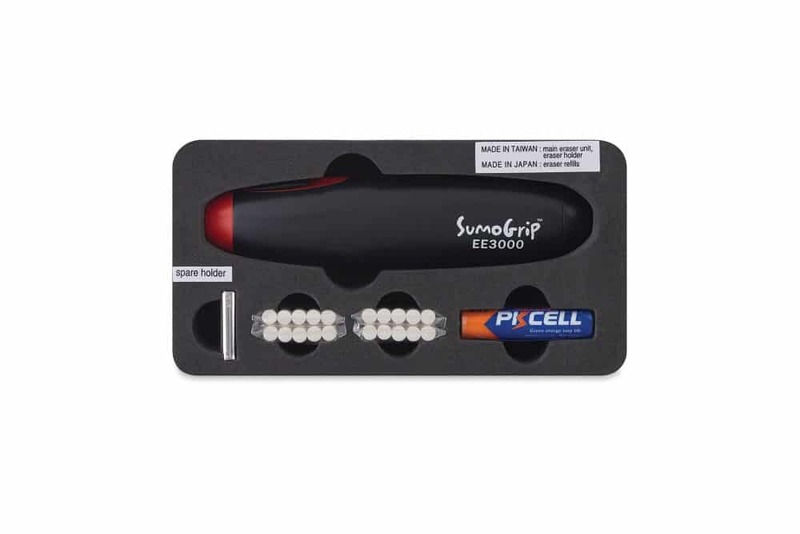 Powered by two AAA batteries, this cordless tool is great for removing fine details in your artwork. While the rubber nibs are great for lifting graphite from the surface, many artists love to use this type of eraser as a way to bring out highlights in their drawings. As great as this is at adding highlights, what many artists seemed to love more was the ergonomic design. Instead of abrasively rubbing a block on the paper, the pen-like design is super comfortable and is a joy to work with. Now normally you would think something like this would cost you a fair chunk of change, but in fact its just the opposite. With a price tag under $10 bucks, it’s a steal and definitely worth trying out. Overall, if you are looking for a gift to yourself or someone else, the Sakura presents nicely. 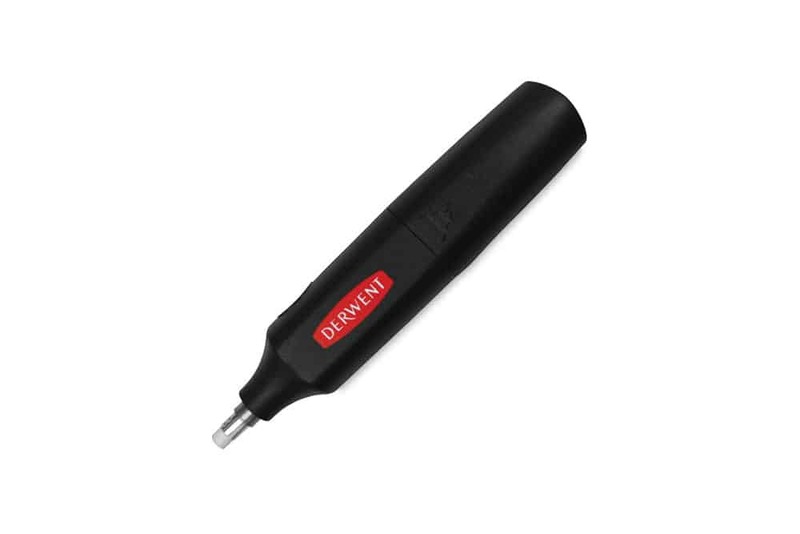 Looks aside, it’s a terrific erasing tool that can really help improve your efficiency as an artist. 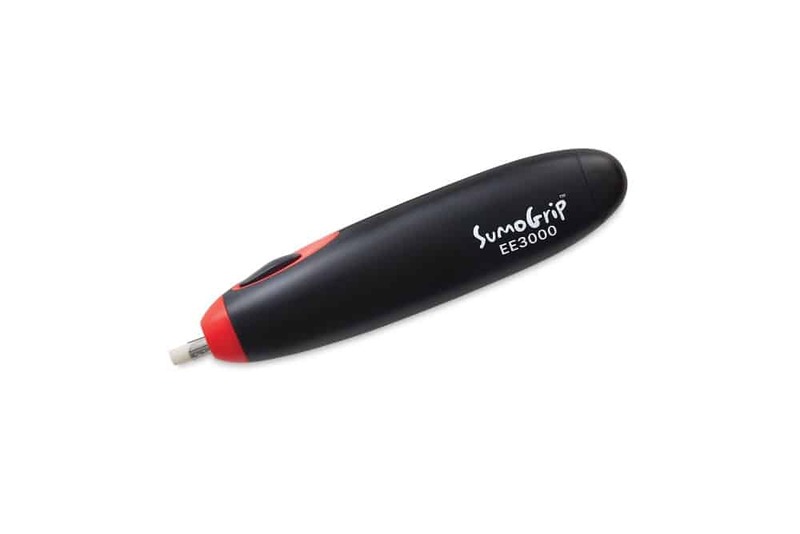 Opposite of the Derwent battery operated eraser, you will find the Sakura Cordless Electric Eraser. Very similar in design as the Derwent, this electric eraser is powered by 2 AAA batteries and makes short work of erasing. While its incredibly effective at adding highlights and removing mistakes, expect to pay a premium for the Sakura eraser. At nearly $50 for the set, it’s quite a step up from the Derwent. Choosing the best eraser for graphite, colored, and other types of pencils in 2019 was rather difficult. With so many different materials used to make erasers nowadays, you have quite the selection at your disposal. But what makes it so great is that erasers are still dirt cheap (even some of the battery powered erasers we saw), allowing you to easily try out a few and not feel like you are wasting money. Now if you think we should add another eraser to the list, we would love to know! We hope that the above information is helpful for you to easily compare all the options on the market and we think that any one of the erasers should serve you well!